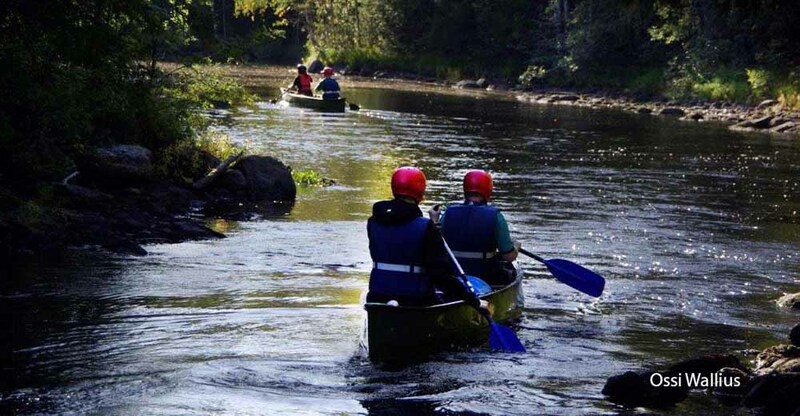 73 km to the north from Joensuu, lake Kuhnusta 24 m (1,93 km²), shallow, child-friendly and gently deepening bottom, beach opens to the southwest, boat, canoe and pier. 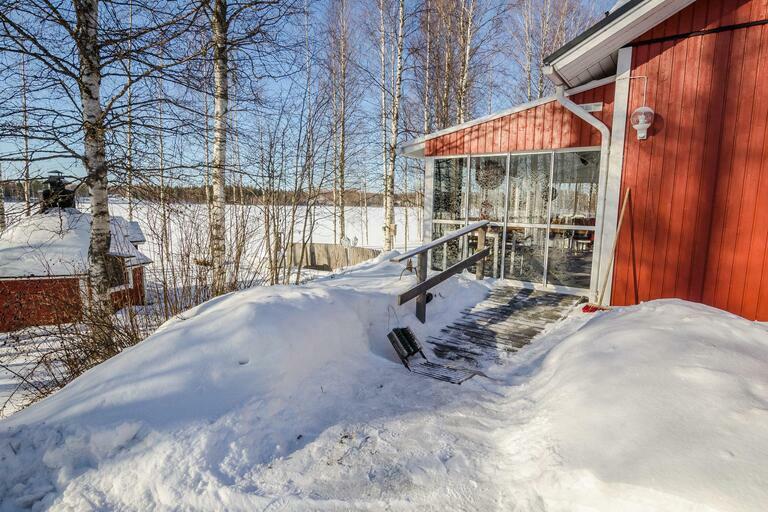 Wooden holiday cottage 1993, living room-kitchen, bedroom with double bed, bedroom with two beds, lounge with a fireplace and spreadable sofa, wood heated sauna, washroom, glazed 20 m² terrace, carport. 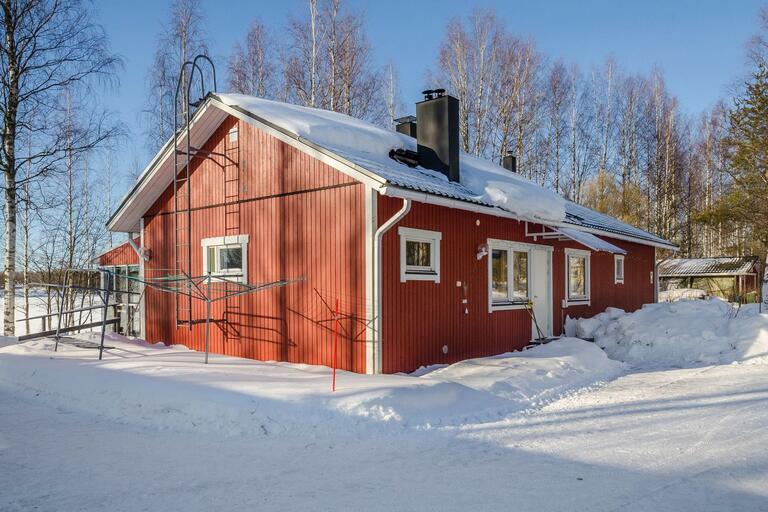 Wooden holiday cottage in a calm location nearby Koli. There is an air source heat pump with cooling and warming functionality in the cabin. Trere are 2 fireplaces in the cabin. 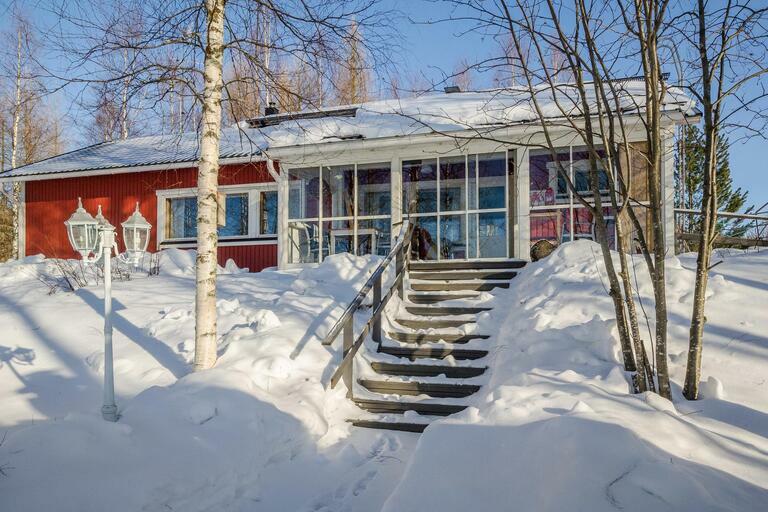 The cabin is suitable for people with reduced mobility, there is a wheelchair ramp and a shower chair. Glazed terrace is equipped with infrared heater. There are fishing rods, lures and an ice drill as fishing gear. Trolling permission to lake Kuhnusta is included to rent. Possibility to rent electric outboard from the owner. The sun shines whole day to the plot. On the beach there is a grill hut and outdoor kitchen made from soapstone. 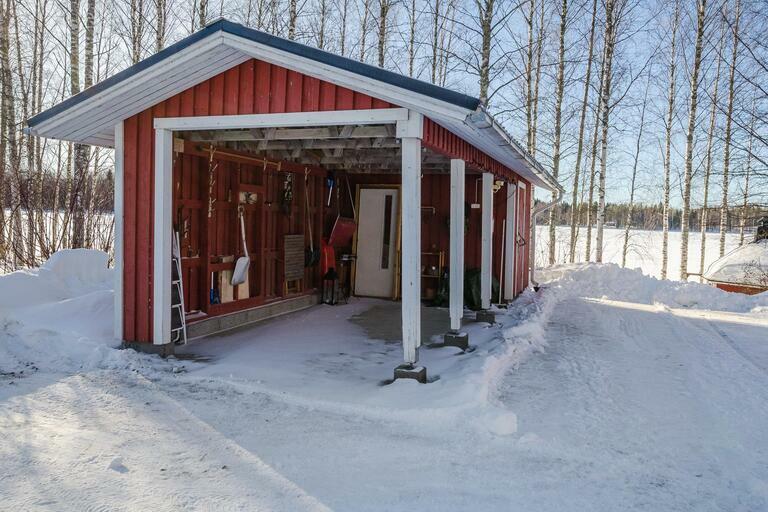 Heating of smoke sauna can be ordered from the owner for an extra fee. In winter heating costs 150 e/time and in summer heat costs 100 e/time. 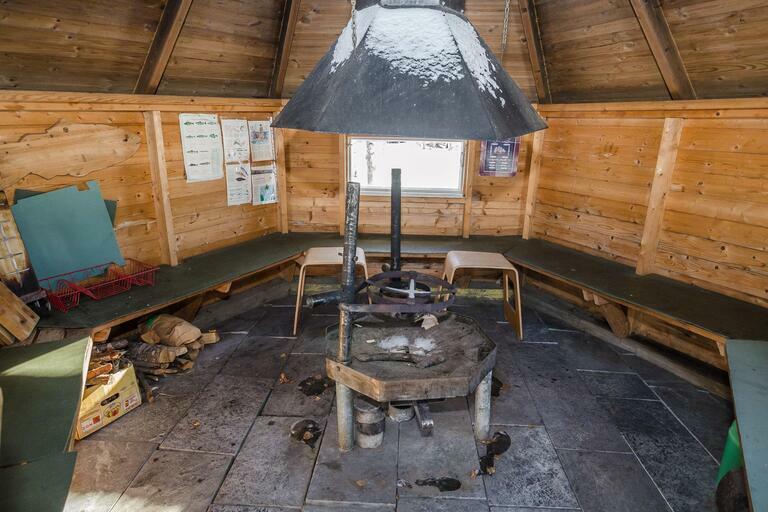 Usage of smoke sauna includes sauna whisk and winter swimming possibility (hole in the ice). Koli 23 km, Kolinportti 13, municipality of Juuka 22 km.